This is a third party activity so please read the THIRD PARTY ACTIVITY TERMS AND CONDITIONS. 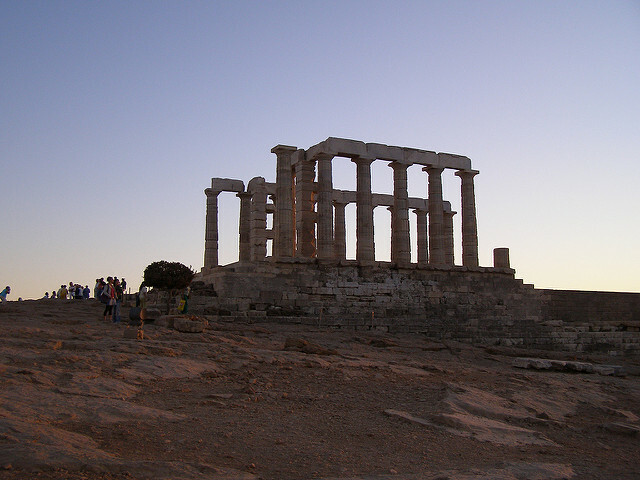 Join this half-day tour to Cape Sounion and experience a breathtaking sunset at the unique temple of Poseidon, the God of the Seas in ancient Greece. The tour starts with a wonderful drive along the Athens Riviera. During this relaxing ride, you’ll enjoy splendid views of the Saronic Gulf while passing through some of Athens’ most beautiful suburbs, including Hellinikon Olympic complex, Glyfada, Vouliagmeni, and Varkiza. There is a pick up service provided from most centrally located hotels.The pick up from the hotels, takes place up to 70 min in advance, depending on the location of each hotel. The tour does not take place on the public Holidays: Good Friday (before 12:00), Easter Day, May 1st and March 25, the Greek Independence Day. The tour takes place every Tuesday, Friday & Saturday from April to October.